William Shakespeare, born 450 years ago today, was an actor, poet, and playwright. His works are still read and performed today. Even if you're not 'into' Shakespeare, you probably use words and phrases coined by the Bard of Avon. Come along and celebrate the birth of the Bard - and World Book Night - with us 6 -7:45 this evening. Tomorrow is the third annual World Book Night U.S., a magical day/evening when some 25,000 people across the country will give 500,000 books to people in their communities who don't regularly read. Givers, who applied months ago, have chosen one title from the 35 that were selected for this year; they receive 20 copies of their chosen book from their participating bookstore or library. The books range from older classics like Catch-22 by Joseph Heller and After the Funeral by Agatha Christie to more recent popular titles such as Presumed Innocent by Scott Turow, Waiting to Exhale by Terry McMillan, Tales of the City by Armistead Maupin and Wild by Cheryl Strayed. A few of the titles are in large print and Spanish editions, and this year there's an e-book, too. Altogether there's something for everyone, and all the books are free--thanks to authors forgoing royalties, publishers, printers, wholesalers and shippers donating services, booksellers and librarians coordinating distribution and an amazing staff at WBN U.S., headed by Carl Lennertz, a legend in the publishing industry. Each year there are wonderful stories of people who give out their 20 books in myriad places, sometimes to relatives, friends and colleagues, often to strangers--on the street, at subway and bus stations, at offices, hospitals, schools and homes. It's a remarkable occasion that combines the joy of giving with the gift of reading--people making meaningful connections with people. Even if you aren't a giver this year, you're more than welcome to participate in the fun. Tonight there are 23 official WBN kickoff events, most of which feature authors. If you can't be there in person, watch the main New York Public Library event via livestreaming. Join Friends of Ocee Library tomorrow from 6 -7:45 to celebrate! The 3rd Monday in April is Patriots Day in Massachusetts; commemorating the Battles of Lexington & Concord on 19 April 1775. These battles signaled the start of the Revolutionary War. Celebrate Earth Day, Tuesday 22 April, at the Alpharetta Branch at 3:30. Kids ages 3-10 will enjoy books, fun facts, and friends. They'll also plant seeds to take home and watch grow. For more info, phone 770.740.2425.
earthday.org reports, "Today, more than half of the world’s population lives in cities. As the urban population grows and the effects of climate change worsen, our cities have to evolve. It’s time for us to invest in efficiency and renewable energy, rebuild our cities and towns, and begin to solve the climate crisis. Over the next two years, with a focus on Earth Day 2014, the Green Cities campaign will mobilize a global movement to accelerate this transition." Ceebrate Earth Day (22 April) by searching the AFPLS catalogue for adult and childrens' materials about environmental issues and green living. Make every day Earth Day! 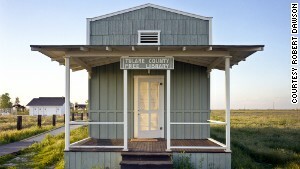 In honor of Library Week, CNN asked photographers, bibliophiles, and fans of architecture to share their favorite libraries. The public is invited to share their photos as well. 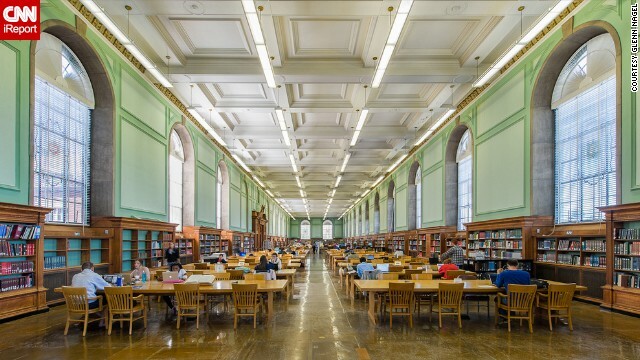 CNN presents a slideshow of stunning libraries in the USA and round the world and answers the question, "Libraries are dying?" "World Book Night is an annual celebration dedicated to spreading the love of reading, person to person. Each year on April 23, tens of thousands of people go out into their communities and give half a million free World Book Night paperbacks to light and non-readers. World Book Night is about giving books and encouraging reading in those who don’t regularly do so. But it is also about more than that: It’s about people, communities and connections, about reaching out to others and touching lives in the simplest of ways—through the sharing of stories." Join Friends of Ocee Library Wednesday 23 April from 6-7:45 pm for refreshments and entertainment to celebrate books, reading, community, and Wm. Shakespeare's birthday. Judges describe "The Goldfinch" as a "beautifully written coming-of-age novel with exquisitely drawn characters that follows a grieving boy’s entanglement with a small famous painting that has eluded destruction, a book that stimulates the mind and touches the heart." AFPLS has 70+ copies, but there is a long queue. The Captain Underpants series by Dav Pilkeyreceived the most complaints. "...the number of reports on attempts to remove material from shelves and school curriculums fell in 2013, to 307 from 464 in 2012, its Office for Intellectual Freedom's executive director Barbara Jones warned against "read[ing] into the decrease in book challenges reported to the ALA, as the removal of just one book from a library prevents hundreds from having free access to information". Rounding out the top 5 (of 10) are: The Bluest Eye by Toni Morrison, The Absolutely True Diary of a Part-Time Indian by Sherman Alexie, Fifty Shades of Grey by EL James, and The Hunger Games by Suzanne Collins. Library visits lead to more reading. Your kids have access to more books, magazines, DVDs than you can afford to buy. Your children's librarian can recommend books. A library card teaches responsibility. 13 -19 April, to see what's new! Thank you to our Friends and library volunteers! No, it's not the name of a new novel, but it refers to the total lunar eclipse that will take place just before 2 am EDT April 15 and can be seen across North America. "The red color occurs because even when the Earth has moved directly between the moon and the sun, the scattered light from all the sunsets and sunrises on the rim of our globe still make it to the moon's surface." If you miss it, there are 3 more total lunar eclipses through 2015. The next one occurs in October. Kids, ages 7-13, are invited to come to the next Ocee Astronomy Club meeting on 17 April at 4:30. Can't get to the library before 6 pm closing weekdays? Late hours (noon to 8 pm) at N Fulton branches are scheduled thorough the week. A number of us are still struggling to keep the new hours straight. Some may not yet be aware of the changes that took place mid-February. Here's another reminder for Ocee. Print a copy for your fridge, library book bag, or your wallet next to your library card. Classes begin at 1:00 pm. For the more serious minded students, there's free math tutoring Sundays from 2-4 pm, K-12 grades. The ESL group meets Tuesdays (8, 22, 29 April) from 4-6 pm for ages 14 and up.